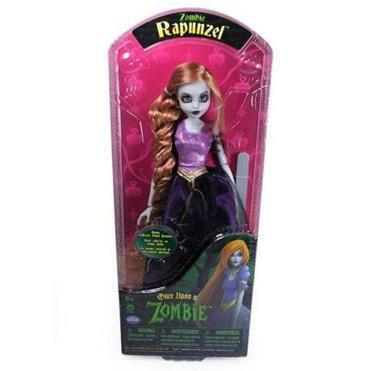 They argue the name Rapunzel belongs to the public, not to United Trademark Holdings Inc., which describes itself as a company that creates and licenses products and has laid claims to less familiar takes on storybook characters: Zombie Belle, Zombie Cinderella, and, yes, Zombie Rapunzel. Owning the trademark to the undead version of Rapunzel, however, does not mean the company owns the name Rapunzel itself. On May 9, Suffolk professor Rebecca Curtin filed her opposition with the Patent and Trademark Office, the federal agency that’s charged with issuing patents and trademark registrations to inventors and businesses. 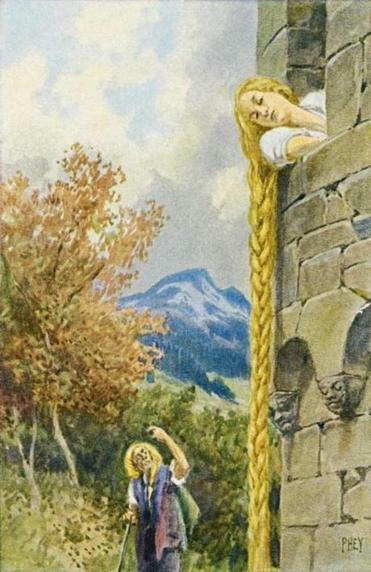 A fairy tale depiction of Rapunzel. Curtin, who discovered United’s November 2017 trademark application while searching through a government database, is being represented by a fellow professor, Loletta Darden, and the third-year law students at the Intellectual Property and Entrepreneurship Clinic, where Darden is the director. Erik Pelton, the lawyer for Beverly Hills, Calif.-based United Trademark Holdings, said the company is aware of the filing and plans to ask the Trademark Trial and Appeal Board to dismiss the complaint, based on the fact that Curtin is not a toy maker that could claim to be injured by the trademark. Pelton said the company would use the trademark only for dolls and figures, which means the name would be free to other businesses to use on such products as party decorations, greeting cards, and clothes. United Trademark Holdings is trying to do what other companies have been allowed to do for years under the law, Pelton said: Name products for famous characters and protect those names as registered trademarks. The company creates a variety of products including dolls, toys, backpacks, and coloring books based on conventional characters from children’s stories, including elves and princesses. Others carry a horror movie motif, including the zombie line, which counts Zombie Pinocchio and Zombie Prince Charming among its characters. Pelton gave a long list of other iconic storybook characters whose names were registered as trademarks for other companies: Thumbelina, Jack and Jill, and Snow White and the Seven Dwarfs. Mattel owned the trademark on Rapunzel for years and used the name to market its Barbie dolls before letting it expire. If the trademark is granted, United would own exclusive rights to the name for six years and could then reapply, Pelton said. The company would then have to reapply every 10 years to keep the name, he said. Curtin said she is more than a law professor engaging in an academic exercise. As a fan of Rapunzel’s story, she wants other toy makers to have the chance to interpret the character in their own products without worrying about a lawsuit. “Granting these exclusive trademarks to companies is going to result in fewer toys that express this character,” Curtin said. “It could also lead other companies to seek exclusive rights to the use of iconic characters on greeting cards, party favors, or board games. “Then what we get is a less-rich commercial culture that interprets this legacy that we have from the past,” Curtin said. Companies pay the Patent and Trademark Office a small fee to register for a trademark, and generally it is not unusual for trademark applications to go unchallenged, said Jennifer Rothman, a law professor at Loyola Law School in California who teaches trademark law and is not connected to the case. Some companies take advantage of the less-than-robust screening process to snap up well-known names, then file complaints against businesses that have used the names for their products to leverage payments, Rothman said. Pelton said that is not his client’s goal. “My client has never sued anybody for infringing on names such as this,” he said. United Trademark faced no opposition when it registered the trademark for the Snow Queen for dolls in 2016. That name has also been taken by companies to sell cigarettes, beer, and vodka. So far, only Curtin has opposed the trademark application for Rapunzel. Disney has filed for an extension with the Patent and Trademark Office for time to submit an opposition to the application. A spokeswoman for Disney, which produced “Tangled,” a movie inspired by the story of Rapunzel, said the company had no comment at this time. Curtin began keeping an eye on trademark applications for storybook characters after she learned of United Trademark’s 2014 efforts to register Zombie Cinderella. Initially, the application was rejected because the name was deemed to be too close to the trademark, Disney’s Cinderella. The Trademark Trial and Appeal Board, however, agreed that the public “would be able to distinguish between the gruesome Cinderella and the wholesome Cinderella,” Curtin said. That was the right decision, because there are probably many other toy makers that use the name Cinderella in their products, Curtin said. Trademarks are meant to protect companies such as Nike and Coca-Cola, products that people search for specifically because they trust the quality or prefer it over other products, said Darden, the other law professor in the case.